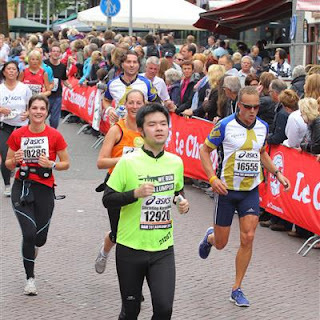 We heard late on a Friday from our colleagues that there were bibs still available for this years run on marktplaats, a famous dutch classifieds site. Dam tot Dam is one of the famous runs starting from Amsterdam to Zaandam. The main run is 16KM with shorter distances for other runs. It takes you through a scenic route of the Netherlands with cheering crowds along the way. A must if you have never experienced it before. I was very disappointing at first when our company were not securing places for this year, as we would like to participate in this run ahead of our half marathon. So, we jumped into the opportunity when a charity had some available. 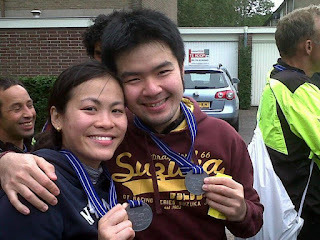 We ended up running for the organisation, Stichting Harambee. Check out their website, also available in english to read about the great work they do. I manage to pace myself throughout the run but hit my wall at 14KM. My feet felt as if they could not function any faster anymore so I carried on with one foot after another. It is too late for me to give up. Somehow, I pushed through and the feeling of achievement when I cross the finish line is so satisfying. 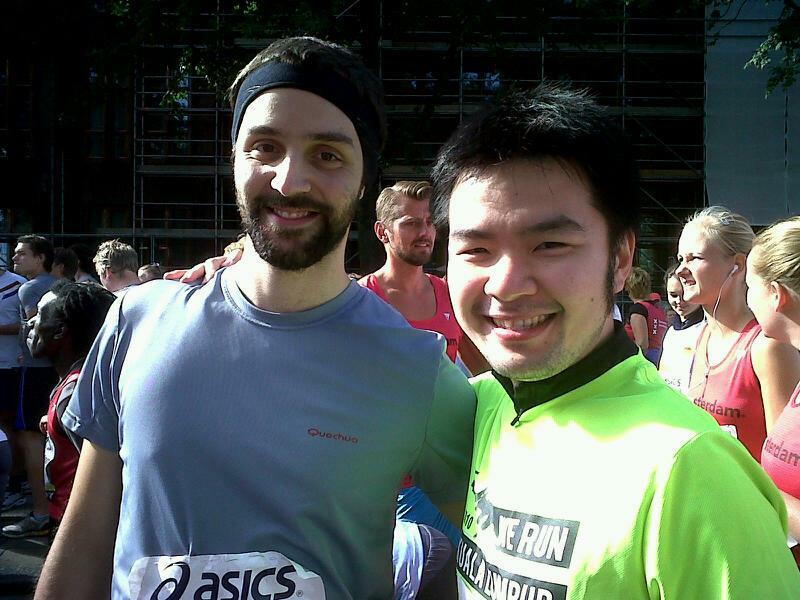 I was as afraid this time as I did the same run a year ago but the lack of training on my part was a concern. Well, it is now less than a month away from my second half marathon and I am indeed looking forward to it. I will update the post with more pictures and videos as they become available. I will celebrate this evening with some other colleagues with an Indonesian dinner! 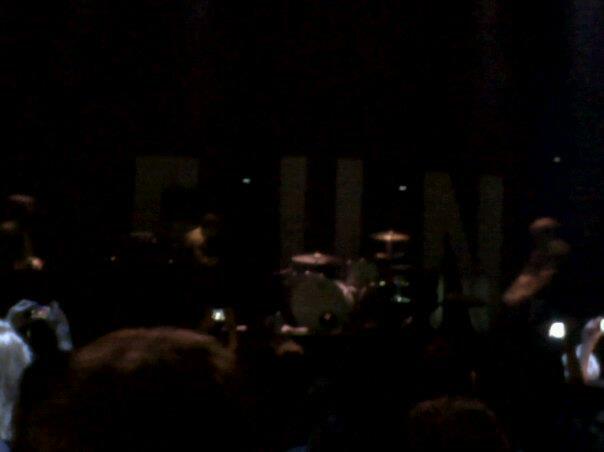 We manage to get hold of tickets to the sold out gig of the band FUN. Thank god it did not clash with Lady Gaga's concert or else Song Yia would have never forgiven me. A poorly taken picture, hopefully you could make out the letter that spells FUN. The concert was for about an hour and half and we struggle to get a good glimpse of the stage due to being in the tallest nation in the world. Nevertheless, it was a good experience as he sang his tunes exactly like in their album. He also did not spent much time on gimmicks or talking with the fans which made the concert focused on the band's tunes. Here are some footage I found of recordings of the concert on Youtube to share the experience. Thanks to moonsster78 for the recordings. Walk The Moon opened for the band. It was indeed a great concert to be in and we can't wait till our next one which I believe is Mika!